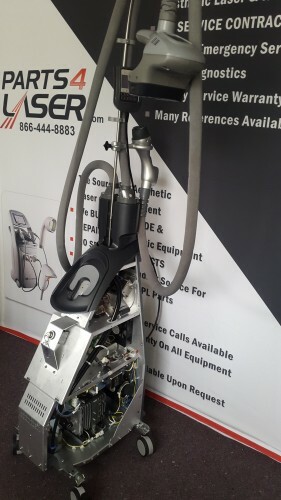 Laser Tech is the premier company in the service and repair of cosmetic laser equipment, helping thousands of clients with their laser machine needs since 2011. With just one call or email, one of our certified technicians will be on the way to provide you with best-in-class cosmetic laser repair. In order to ensure that your machine will perform optimally in the long-term, we only use OEM replacement parts to return your laser machine back to the original company specifications. 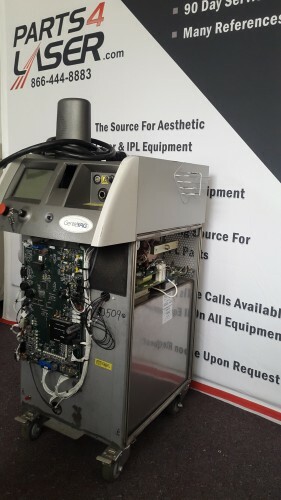 We understand how important it is for your business to have your machines working as soon as possible, which is why we offer same day service to our clients on our cosmetic laser repairs. Even though we work quickly to get your machine working immediately, we still guarantee that we will work properly to make sure that the machine will continue to run perfectly in the future. If for some reason there is an issue that requires excessive repair that we cannot complete same-day, we will do our best to provide you with a machine on loan so that your business can continue to run while we repair your laser machine. We know how important it is for your business to have a working machine on-site, so we will do whatever we can to keep your practice running smoothly while we undertake the repairs. If your laser machine has suffered from problems that cannot be fixed on-site, we will provide the pickup and delivery of the machine to our technician lab, so that you can focus on running your company while we manage the logistics. In order to be 100% transparent with our clients, we will offer you a free machine diagnostic in order to identify the problem and provide you with a quote for the repair. We only charge a flat-fee for the repair labor, which includes preventative maintenance on the machine, so that there are no surprises for you. If there are any additional issues that are discovered during the repair process, we will immediately contact you to discuss any additional charges before going ahead with the labor. With all of our laser repair and maintenance services, our goal is 100% client satisfaction. This is why we offer a 90-day warranty on the parts and labor for all services that we provide. We want you to know that Laser Tech is honest, reliable and professional, so if for some reason there are any performance issues following a service call, we will do whatever we can to rectify them as quickly as possible. Cutera – Prowave 770 | Limelight | Titan XL | Titan V | OPS 600 | LP560 | AcuTip 500 for the Xeo & Solera laser systems. Syneron -Syneron HR | Syneron SRA | Syneron DS | Syneron ST (Refirme) | Syneron Comet Diode-Clear Preventive Maintenance Error.